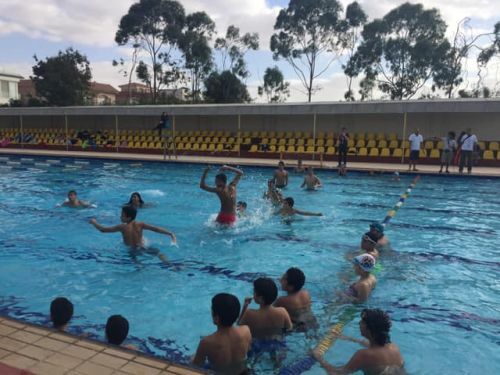 December was the final month of the term, and proved to be just as busy as the rest! 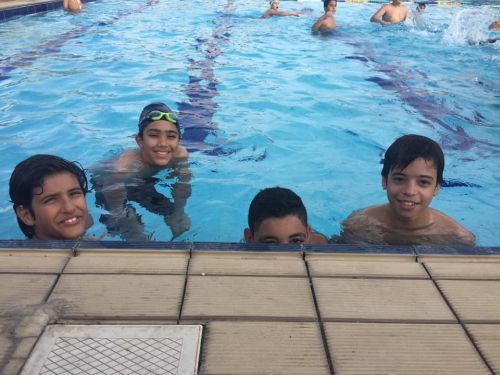 The swimming gala was held on 11th December, but included a Water Polo and Water Basketball Competition that was a lot of fun for students – see photos below. 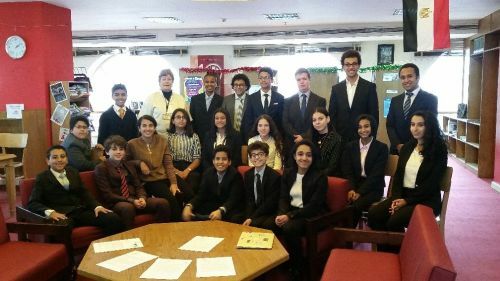 The BISCMUN team did us proud, and some students have given us an account of their experiences. 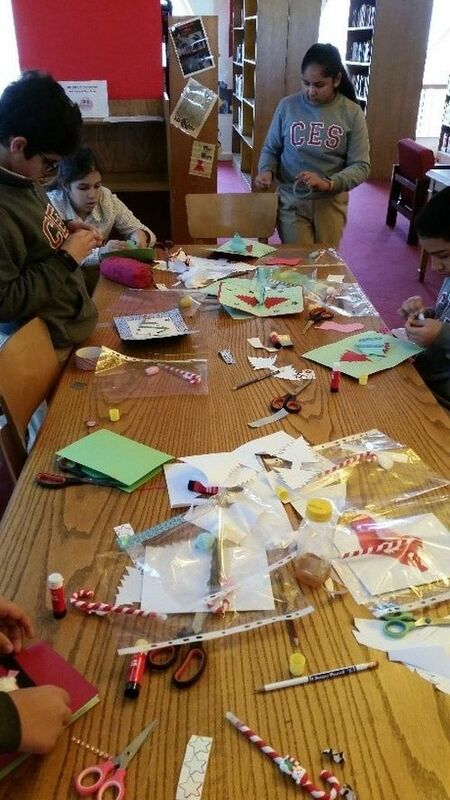 We also had our monthly library activity which the students enjoyed. Our final day of term will see our annual CES Talent Show in the afternoon to showcase the amazing abilities of our students. We have also had rewards days in Year 7, 8, 9 and 10 this month to celebrate our students with no events, and for achieving lots of merits. To all students, teachers and parents – have a lovely relaxing break and we can't wait to see you in the New Year! 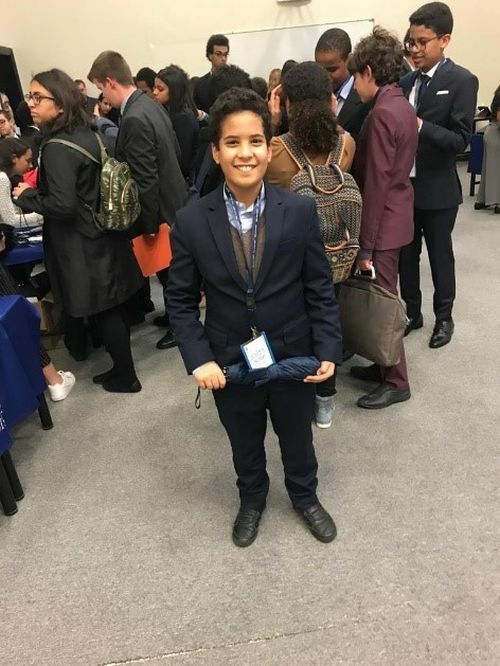 Yousef Bekheit, Year 7: "THE BISCMUN conference was the first MUN conference I've ever been to and it was a great experience for me. I felt the conference went well. It had comedy, suspense, action and even included a "gossip box". 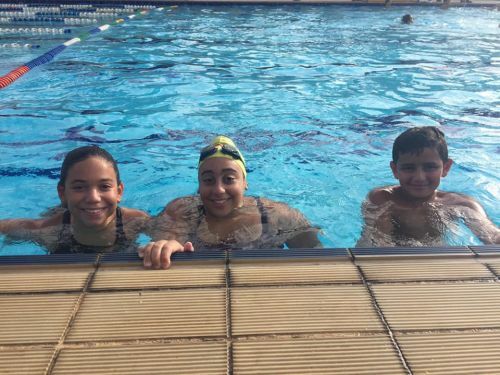 The conference allowed me to know many different types of personalities and make some wonderful friends." 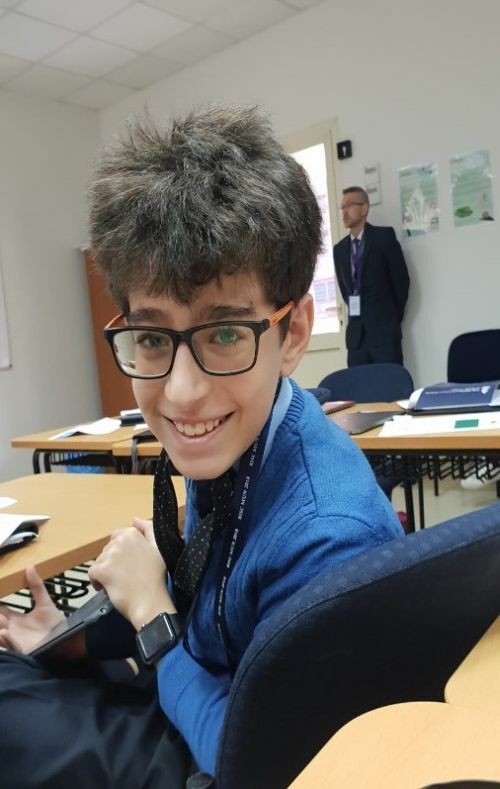 Michael Moheb, Year 7: "Preparing for the conference was the most nerve racking part of it. Tons of research must be done in order to get a picture of your country's opinion on the matter. Then, at the beginning of open debate, your speaking skills are heavily relied on for you to take control of the room. You must be able to understand the points and motions, for they are key parts to the fluidity of communication of the debate. When discussing the final resolutions in the last open debate that holds all four committees, you must ensure that your final statement in the conference pulses a sense of completion in the house. Finally, the relaxing part of it all is of course, the party, where you indulge yourself with scrumptious delights and delicious desserts. I will never forget it." 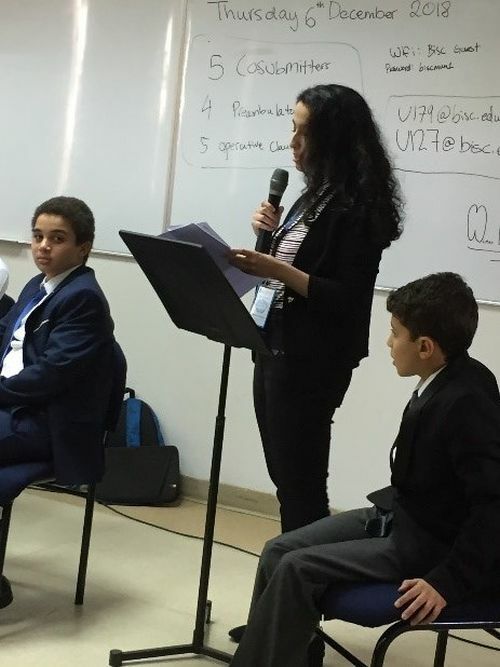 Shady Awad, Year 7: "This year's MUN was very special. 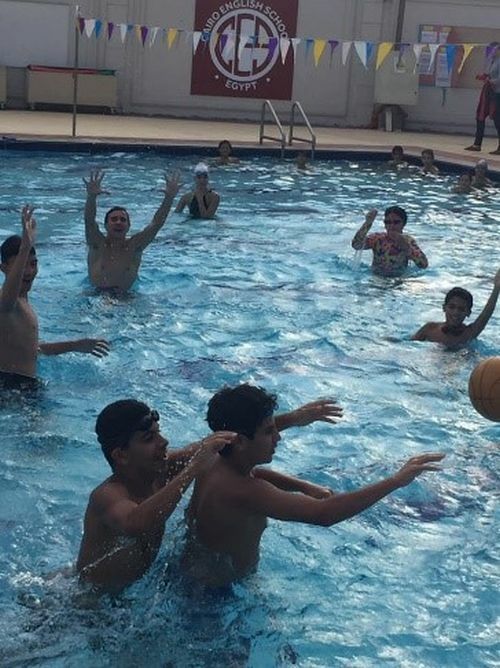 It was beneficial, yet fun. 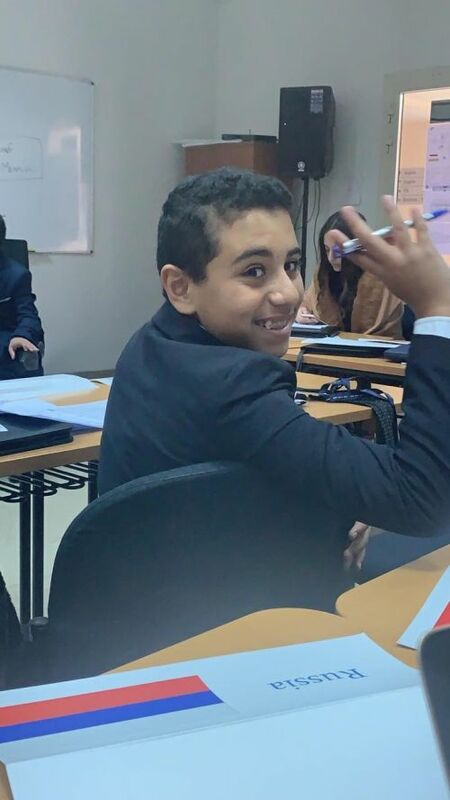 I learned many new skills and acquired an incredibly useful experience; the form of debate, how a resolution must be submitted, clauses and their uses and finally the way of speech. Fun also entered the mix in a very unusual manner. The kindness of the chair helped me keep my cool in speech and thanks to my fellow delegates and friends, who inspired and encouraged me to speak, I was always ready to reach the podium and say a few words. Stress was finally pushed away. After that, there came a comforting friend, comedy; funny jokes, questionable but hilarious confessions and statements and laughable debates. 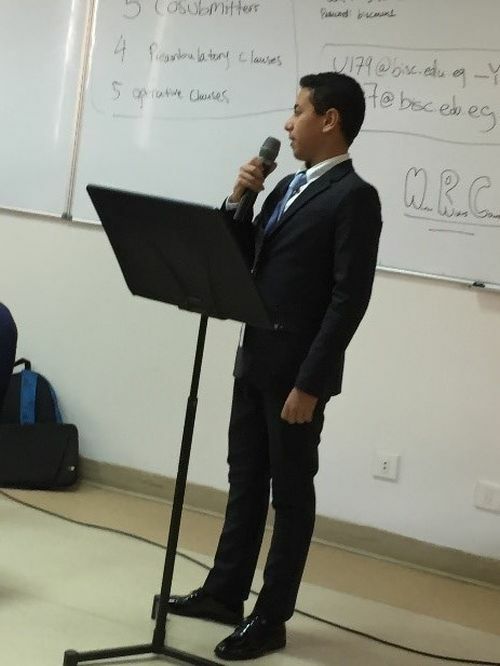 This year's MUN was definitely one to remember." 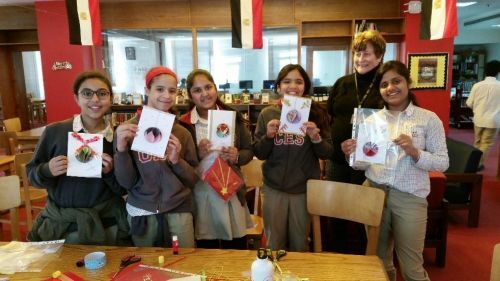 Ms Judy in the Secondary Library always plans great seasonal events for students, and December was no different! 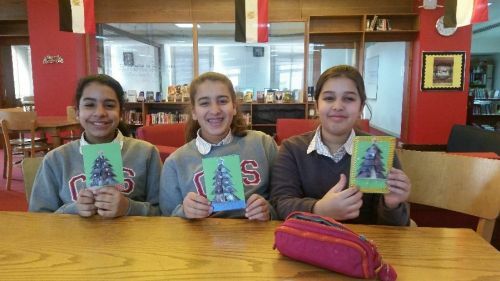 Pop-up and 3D cards were being made to celebrate the holiday season and students did a great job. 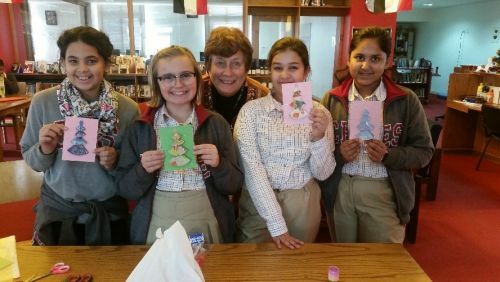 See the photos for the beautiful finished products! 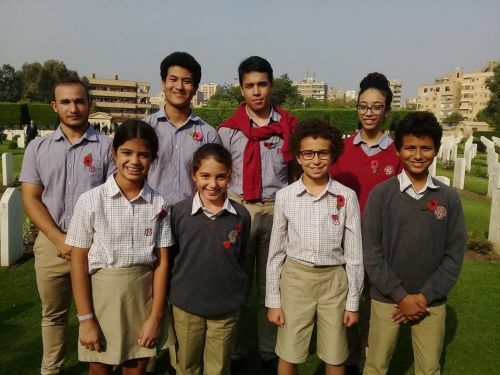 To commemorate the 100th year since the end of the First World War, students attended the annual Remembrance Day Service at the War Graves Memorial at Heliopolis. 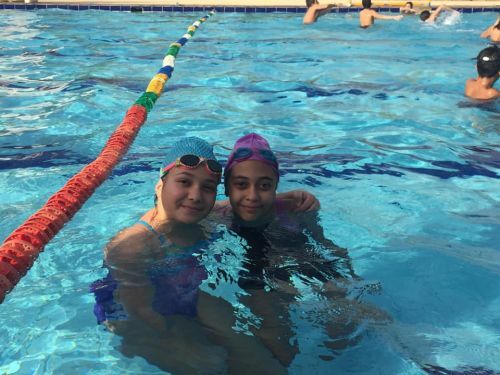 From Marina Wanis, Head Girl: "I really enjoyed the ceremony - the place was beautiful, and I learnt a lot from going. I was able to reflect on the worldwide issues of terrorism, war, and conflict. I was given the chance to show my huge appreciation and respect for the people who lost their lives, and who lost their loved ones due to conflict. The ceremony was well-organised and beautifully presented. A really good choir sang and there were other students who were also playing instruments before the ceremony started which created such a lovely atmosphere. We laid the wreath, listened to a Remembrance Day poem, sang hymns, and we laid our poppies on graves. 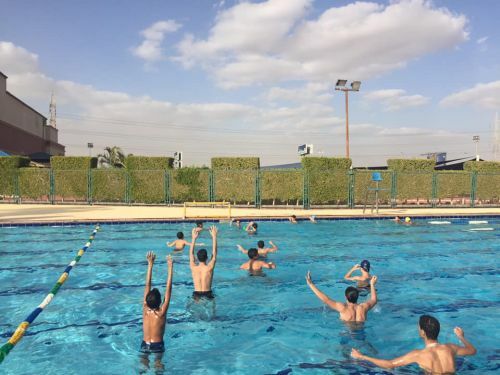 It was a very beneficial and enjoyable experience that allowed us to give our time to such an important day and to remember such important people. 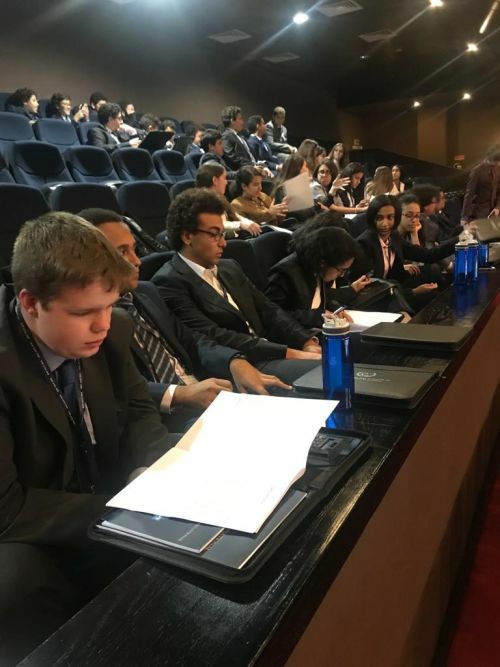 During the week of 20-23rd October, a few of my peers and I were able to participate in the Junior Cairo International Model United Nations (JCIMUN) Conference B, hosted at the American University in Cairo. 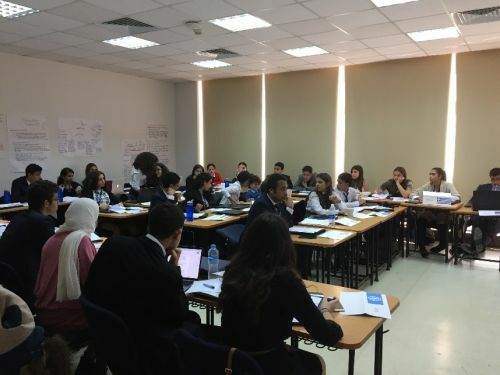 During the course of the week, we were taught the basics of MUN, how it runs, the procedures, and a general overview of the issue we were going to tackle during the weekend. 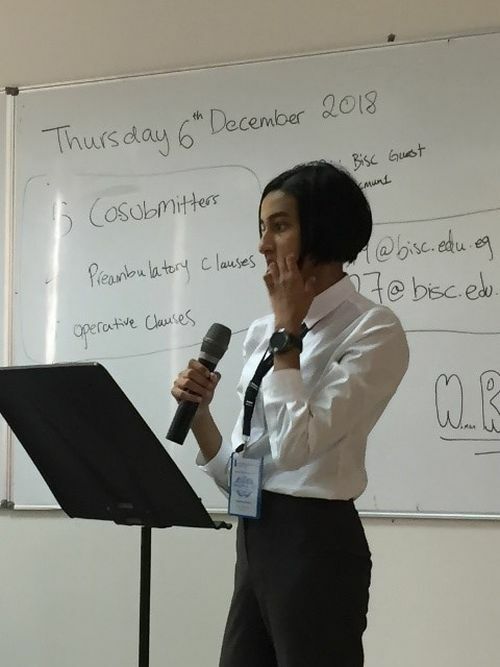 This ranged from writing and giving speeches, negotiating, resolution writing, along with other skilled deemed extremely useful for both this conference and others to come. 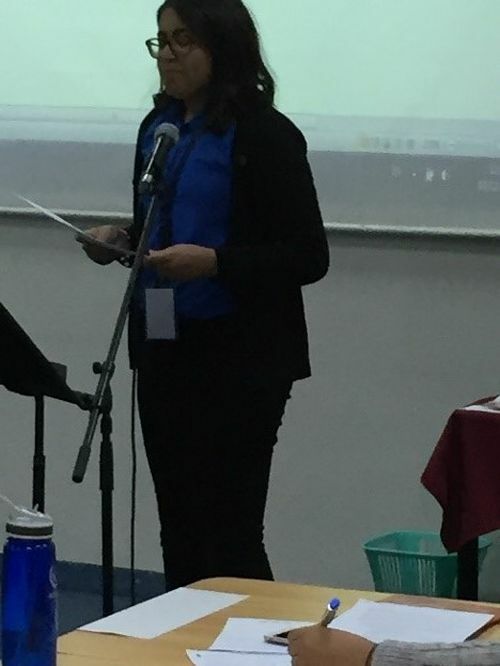 At the actual conference on Friday and Saturday, I believe I speak for everyone when I say that it was truly nerve-wracking to give our opening speeches, after having only met our delegations and partners the night before. 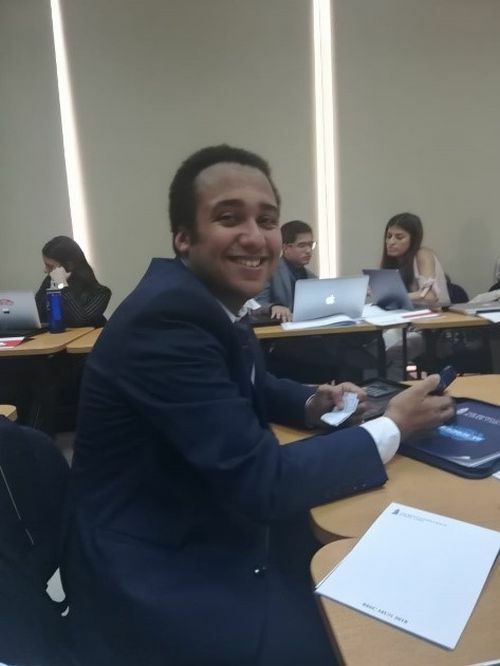 As the delegation of Russia, I had a lot of work to do in order to ensure I was able to present its power and strong stance to the best of my abilities. However, once we started, everyone was extremely supportive and the speeches served a role in enlightening us of the stances of the other member states on pressing matters that plague the world. 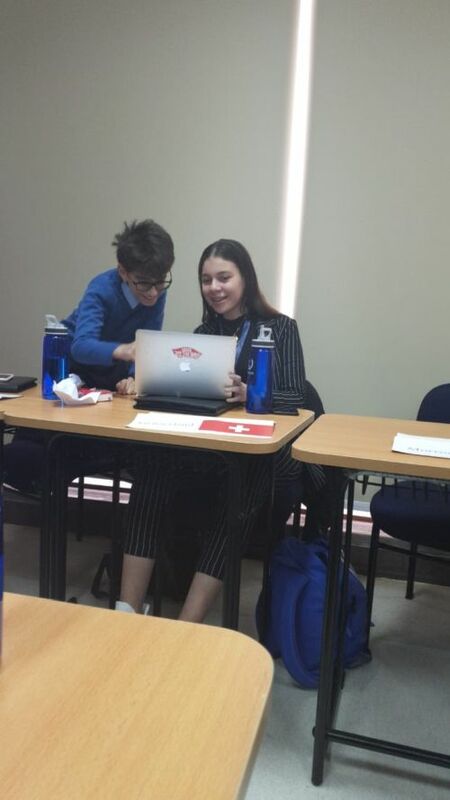 During caucus, the amount of hard work, teamwork, and effort put in was evidence as we discussed the issues with our allies, and tried to find a feasible solution while getting the working papers submitted before the deadline. Everyone was relieved and excited when our working paper was the only one submitted on time, with very few mistakes. It was all worth it when, in the end, my bloc's resolution was passed by an overwhelming majority. 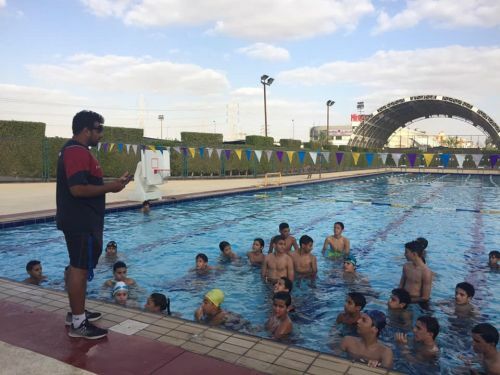 We were all really proud – it was the result of all the combined effort over the week. 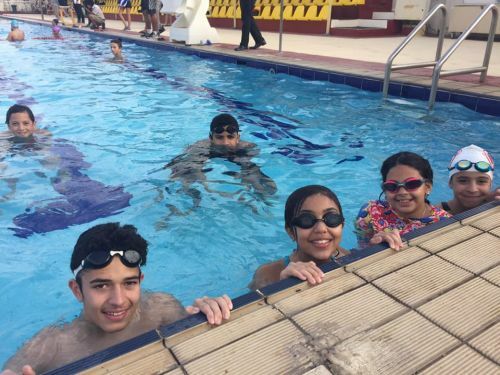 This experience was truly unforgettable – the most important part is always developing new skills, learning teamwork, and most importantly, having fun!